Vacuum fluorescent displays (VFDs) are one of those beautiful pieces of bygone technology that you just don’t see much of anymore. At one time they were a mainstay of consumer electronics, but today they’ve largely been replaced with cheaper and more energy efficient displays such as LEDs and LCDs. While they might be objectively better displays, we can’t help but feel a pang of regret seeing a modern kitchen bereft of that unmistakable pale green glow. If his impressive VFD clock is any indication [Simón Berraud] feels the same way. Not only does the clock’s display instantly trigger waves of nostalgia, but the custom PCB has that mistakable look of consumer electronics circa 1985. If we didn’t know better, we’d think this thing fell through a time warp. Well, if it wasn’t for the SMD ATmega328 on the flip side of the board, anyway. In addition to the MCU, the clock features four ULN2003AN Darlington transistor arrays to drive the VFD, and a M48T08 Real Time Clock to keep the whole thing ticking. The careful observer might notice a distinct lack of buttons or switches on the clock, and wonder how this retro wonder is set. In a particularly radical hack, [Simón] sets the time with a hard coded variable in the source code; you just need to set it far enough into the future so that you have enough time to power it up at the appropriate moment. 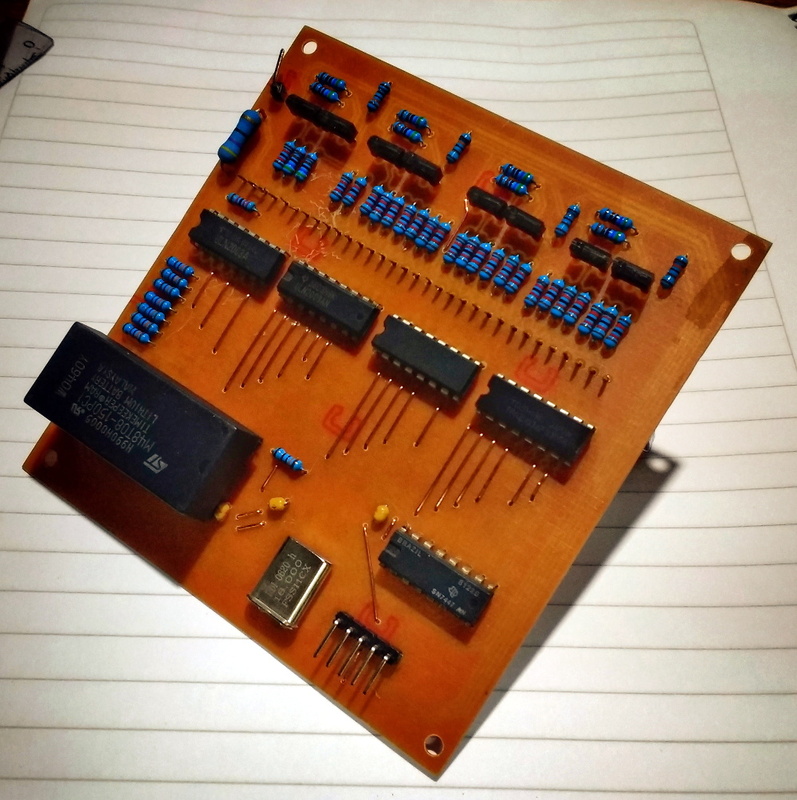 [Simón] has put the Arduino-flavored source code for the ATmega328 as well as the schematics and board files in his GitHub repository for anyone else who might want to take a walk down memory lane. While you’re at it, you may want to look at these tips for getting unknown VFDs up and running, as well as this interesting explanation of how they can be used as amplifiers if you’re really looking for style points. > In a particularly radical hack, [Simón] sets the time with a hard coded variable in the source code; you just need to set it far enough into future to give you enough time to power it up at the appropriate moment. I love it. I hope there is a battery backup though. Hi! I’m Simón. There is indeed a back up li-ion battery (as far as I remember it can be unplugged for something like 3 years without a problem). And the method described isn’t quite precise. You actually set the registers, burn the code and restart the microcontroller at the time you set earlier. PD: they didn’t upload the picture where it’s working, but it’s on GitHub. Nice build! VFD is definitely a cool display technology. Great. I’ve found 8 boards of 20 chars of 7*5 pixels each at my work, and was searching for any doc before breaking them.